In August 2015, someone made a comment to me which has changed my outlook on training ever since. Up until that point, fitness to me was something I did for fun but with the goals purely being to lose fat, get leaner and just be generally all round fit but with no real performance goals. As a result of this comment, I decided to investigate powerlifting. Powerlifting is a sport that involves lifting as much weight as possible in three lifts: the back squat, bench press and deadlift. There are two types of powerlifting: equipped, which, as the name suggests, uses more equipment to help you lift as much as possible; and unequipped or classic, which involves minimal equipment. I compete in classic lifting. Powerlifting is a weight-class based sport, just like Olympic Weightlifting. You compete directly against the lifters in your weight class for who can achieve the highest total weight lifted. A best overall lifter is also awarded, using a ratio between your body weight and total weight lifted. 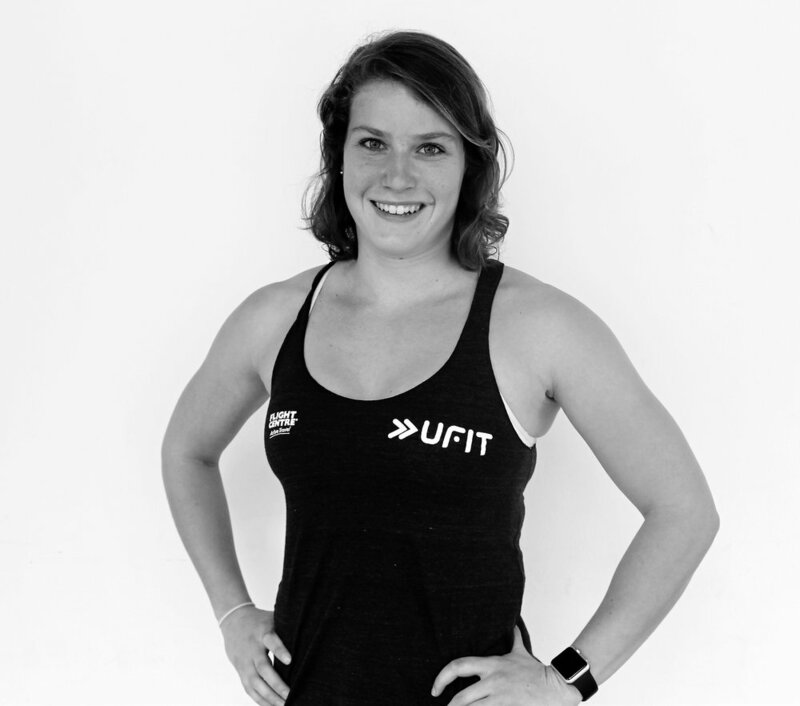 Following a move to Singapore in September 2015 to pursue my Masters degree, I decided I needed to find a coach who could help me get into, and learn more about, powerlifting. Enter UFIT. I started training at the newly opened one-north studio with Tom Clarke. I don’t think he knew quite what he was letting himself in for at the time! After our first few sessions, we decided it would be best if I had a specific goal and therefore found a competition to enter. This would also give me the opportunity to discover if I even enjoyed competing. So together, we worked towards my first meet, which due to recurring knee issues, was a Push-Pull (Bench press and Deadlift only) meet in KL. Tom was meant to be accompanying me to this meet, however, thanks to the wonders of Air Asia his flight got cancelled so there I was heading off to my first competition with no coach and no support, in the back of beyond, in KL. It was an incredibly long and stressful day culminating in a slightly disappointing bench score, a PB in the deadlift and a bronze medal. Fast forward to April 2016, and I had set Tom the joyous task of preparing me for not just one, but two powerlifting meets in as many weeks, followed by a CrossFit competition, Asia Championships. The first meet was back up in KL, this time successfully accompanied by Tom, and was a much more enjoyable experience, hitting PBs in all three lifts and finishing as the second best female lifter. The second, the School Yard Classic in Singapore, went about as well. Although I only hit a slightly lighter squat, I succeeded in setting the bench, deadlift and total records for my weight class in Singapore. I also finished as the best female lifter overall, my first competition win! A week later however, due to an e-scooter accident, I ripped the cartilage in my left knee and was sentenced to crutches for 2 months. During this time, I cannot say enough how much training at UFIT and being coached by Tom kept me sane and on track. While being on crutches shrunk my left leg dramatically, it did wonders for my upper body strength and within about 2 weeks of being allowed to apply force through the leg again, I had broken my previous best bench press by 5kg! So, to the present day. After 6 months of focussing purely on protection and rehabilitation, I was more than ready to start having another competition to train for. I am now 1 week out from meet day and cannot wait to step back onto the platform, but the prep hasn’t been without its ups and downs. As powerlifting is a weight-class based sport, it is necessary to achieve a specific weight on meet day. With weigh-ins being 2 hours before your first lift, and with still being a fairly novice lifter, I want to be happy that I can hit weight a week or so out from competition so I don’t have to stress about water manipulation and so forth. This has meant that since January, while training to increase strength, I have also been trying to drop weight. To do so, I have to carefully track what I eat to ensure that I am fuelled for my training sessions but still in an energy deficit to facilitate that weight loss. As for training, I am still working with Tom, although remotely, to keep my training as focused as possible. Training includes hitting each of the three competition lifts about twice a week followed by accessory work. To start, training includes higher volume, up to 10 sets, and more accessory work. As training progresses, volume is decreased while intensity increases and accessory work is reduced. Sessions can easily take up to 2 hours, with an hour alone being spent on the main lifts, inclusive of warming up to the working weight. Rest between sets is also an important factor in strength training, hence the length of the sessions. Powerlifting gives purpose to my training beyond just training for training’s sake. I am someone who wants to be good at everything, and when I see something I can’t do I want to learn how to do it. Having set goals and a set timeframe, gives me the focus I need to stick to a program and not get distracted by each new, cool technique I discover. I have days when I can’t be bothered and everything just feels super heavy, but I know I need to get the work done. I have days where I want to eat everything in sight, but knowing I have to hit a certain weight helps me to keep controlled, most of the time! Valuing the long term goal over the short term pleasure has been the biggest learning curve during this prep. Sure, I’ve slipped up. I’ve had that piece of cake or cookie but then the next meal I’m back on the plan and I don’t fret about it. I find it much easier to stay on track when I have a definite time line and goal than when I just used to have vague thoughts of “I want to get fit and get abs”! Finally, getting stronger and seeing my body change through the training cycles has changed me in ways I never could have imagined. I am so much more confident than I ever used to be. I believe in myself and it is much more about what my body can do rather than what it looks like that is important to me. My advice to everyone would be find something you love to do, and then set yourself some goals to keep you on track. Whether that is to run a 5K or a marathon, participate in the CrossFit Open, go for the prize in the UFIT Clean & Lean Challenge or something else entirely, find what motivates you, it really does make all the difference! Our amazing dynamic duo Mike Thornton and Trine Kaehler took on the Clean & Lean Challenge in January as a couple to give each other the motivation to stick to the program and avoid any temptations. Hear more about their journey of the four weeks right here. Why UFIT Clean & Lean Challenge? For both of us, coming off the back of a strong festive season, neither was happy with how we looked in the mirror and we knew it was time to make a change. Mike had undertaken the first C&L challenge back in 2013 and achieved good results so we thought it would be a fun challenge to do by starting off 2017 in the right way and also allowing us to spend more time together in an otherwise busy working schedule. Both of us had our goals in mind however achieving them would take serious commitment! With the hardest part, over, we looked forward to the reintroduction of new items to the food menu for Week 2. Without giving away too much information, the reintroduction of carrots to the diet made life much easier…it really is the little things! We noticed that Trine was definitely experiencing a pop in energy in the mornings while myself…. well let’s just say on the 5th alarm I at least acknowledged it. We had both been pushing hard in the first half of the C&L, Trine with her Yoga and PT classes (thanks Wendy!) and myself with lunch time workouts and football. By the end of Week 2 we started to see the first signs of changes to our bodies which was exciting and gave us the motivation to keep going. Week 3: It’s a complex situation, don’t lose your nut! After pushing so hard in the first 14 days of the challenge it was inevitable that we would reach a burn out / plateau period at some point in the challenge and for both of us, this was week 3. We found ourselves sticking mainly to the Week 1 and 2 diet plan mainly due to our attempts at adding Week 3 foods into our diet plan had made portion control difficult, something Trine is much better at controlling than myself. Nevertheless, on the workout front we continued to do what we could when we could, a highlight of our days being our evening walks around Marina Bay and Gardens by the Bay which kept the clock ticking over while allowing us to clear our minds, evaluate on the day and to discuss what to cook for the next day…. Planning is the key to make C&L a success! Week 4: Cross the finish line and say cheese! The final week saw both of us making a big push for the finish line with the intensity of our daily workouts ramped up as the date of our weight out came closer. The introduction of cheese in week four had severely thrown a spanner in the works however apart from a homemade pizza utilising cauliflower crust (this challenge is impossible without cauliflower!!) we did our best to stay away from our favourite snack. That is a question you are probably asking yourself right now, in short, it depends very much on what you are looking to get out of a four-week diet plan. In our opinion the best way to approach it is to view the C&L as the kick start you need to change your lifestyle habits and not simply as an isolated course, this helps you to keep on the straight and narrow when times are tough. Yes, you will experience headaches, tiredness, nausea and dizziness (am I still selling it to you?) from time to time but once you battle through these short-term difficulties the change to your diet and lifestyle will provide huge upside potential. It doesn’t matter if you are 28 or 58 years old, 50kg or 130kg, each person is on this challenge for their own reasons and the coming together of complete strangers into a supportive community network where you make new friends and change for the positive is worth the admission cost alone. A huge thank you from both of us to Wendy, Noa and the rest of the UFIT Clean and Lean brigade, these guys put in a HUGE amount of work over the four week period to provide support, assistance and in general “feel good vibes” to everyone on the journey in addition to their already busy lives and it simply would not have been the same without them. Now, if you are still reading this; get online, get signed up and best of luck in your own C&L challenge – we look forward to reading the next persons story. The 2017 Clean & Lean sessions are happening on March 11 – April 8 (4 weeks), May 20 – June 17 (4 weeks), September 2 – 30 (4 weeks), November 4 – 25 (4 weeks). UFIT is Singapore’s largest independent fitness community that offers a 360 approach to health and fitness island wide. For more information, visit our website. 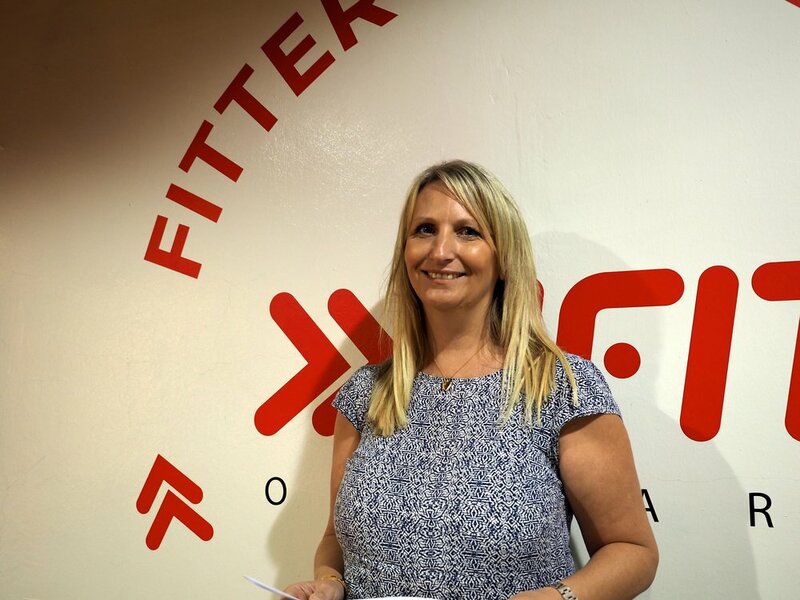 Jacqui Young from Expat Living discover Clean & Lean benefits and how the rapport and community kept her strong and going for the whole four weeks. For years now I had struggled with the usual on and off latest diet fads, starvation periods and bouts of extreme exercise, all in an effort to lose the weight that I had seemed to collect over the last few years. I had heard through the grapevine about UFIT’s Clean and Lean program and thought of giving it a try. I toyed with the choice of program dates for 2017 thinking I can't do this one and can't do that one, and in the end, I thought no time is ever a good time and before I knew it, I was jumping straight in and enrolling to start the following day. If I didn't do it then I thought, I never will. Apprehensive, I embarked on my journey with my initial weigh in at UFIT's brand new gym just off Orchard Road before having my last latte in the nearby Starbucks and then joining my 270 comrades for my first Saturday morning seminar. The place was packed and there was an amazing atmosphere with everyone being supercharged for the upcoming challenge. The UFIT Clean and Lean program is about resetting your body and teaching you to have a cleaner, healthier and sustainable lifestyle and maintaining it after the program ends. For four weeks, you embark on a journey of a mainly green diet which eliminates processed foods and sugars. It’s incredibly easy to follow as it just involves cutting out the highly-processed sugars and eating healthier. There are no set recipes as such, but you do have the ideas from the cookbook that is supplied in a link at the start of the program. Some foods will be slowly reintroduced during the four week period normally after the weekly seminar which explains different topics along with the reasoning behind what’s being added. There is also access to a Clean and Lean Facebook community page site for all participants to share tips, ideas, recipes, or just to have a general vent if needed. There are also four bootcamp sessions are also given as part of the package which can be booked via a handy app for which all participants are given access. With over 80 classes a week, it’s easy to find a time and day that suits. There is an amazing support network of nutritionists and fitness experts, some of whom are also doing the program too for support. It is an actual challenge, and the winning male and female who lose the most body fat win an exclusive health and wellness package from UFIT and their partners. For me, it was more about resetting my eating habits and losing a few kgs. The four weeks passed quickly, and I was actually sad it was ending as it was so amazing having the support of so many people who were also participating. I was amazed at the results of my weigh in last week. 5kgs down on my weight, just over 5% body fat lost, and a good 5cms went from both my hips and waist. I was a very happy bunny! This four weeks has given me some great insight into changes that I made in my diet that I will have no problems sticking to. I’m not saying I won't ever eat a carb again or never drink a glass of wine (or five), but I’m definitely more in tune with balancing things out now. I’m even thinking of joining the next one in March now. Program will run throughout 2017, and the dates can be found here. http://www.ufit.com.sg/clean-and-lean/ The next program will start on 11th March – 8th April.